I have been waiting for a LONG TIME to tell my story about how the Nuun Blogger Team came to be..
December 2010 I was on a plane to Rock N Roll Las Vegas Marathon to run with my good buddy Amanda HERE. I was not trained for the race, but my Father had just passed away unexpectedly and I NEEDED something to look forward to. The fit looking man next to me on the Southwest Flight was wearing bright shoes, I figured he was a Runner so I struck up a conversation. He was drinking from a Nuun HERE Bottle (at the time I pronounced it "none" oops) we started talking and I found out he was recently hired as the Marketing Director for Nuun.. CRAZY!! I told him about Tall Mom and gave him one of my homemade Blog cards. 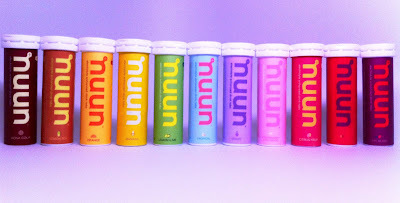 He said that Nuun was thinking of sponsoring a team.... When he said that I IMMEDIATLY thought that it would be GREAT to have an all female Blogger team, so I shared my thought. To have Bloggers from across the USA and other countries come together for the Relay and to spread the Nuun brand across the Blogs. It would be VIRAL.. I am working on multiple recaps...look for those soon.. I am OFF to meet Little Stud #1's Kindergarten Teacher..
That is so awesome Mel! I am so jealous of all you ladies that got to run! Can't wait to hear all about it! that is so fun! nice job...are you an event planner or marketing director? future in marketing? i think so! thanks for helping start such a cool thing. Mel... you are just the BEST. Not just because you sparked this, but just because you are YOU! So cool to hear the story :) I really hope we keep in touch and get the opportunity to do this again! Hope, hope, hope! Cannot wait to read your recaps! Fabulous! A little idea became a great reality! I bet you never thought in a millIon years theat your idea would come to life! How cool! Can't wait to hear your recap! Ohhhh. Your little boy is going to kindergarten? Take lots of pictures. I hope he loves it. I had no idea about that side of the story! that is SO cool!! I think this might just be my favorite part of the Nuun-Hood to Coast story!! Sweet! And as a side note, my baby boy started Kindergarten this year. *tears* I hope youor Stud has a great year!!! I hate talking on airplanes. The last time I struck up a conversation, it was because my kid puked on the person. I thought it sounded like "none". What an amazing story! 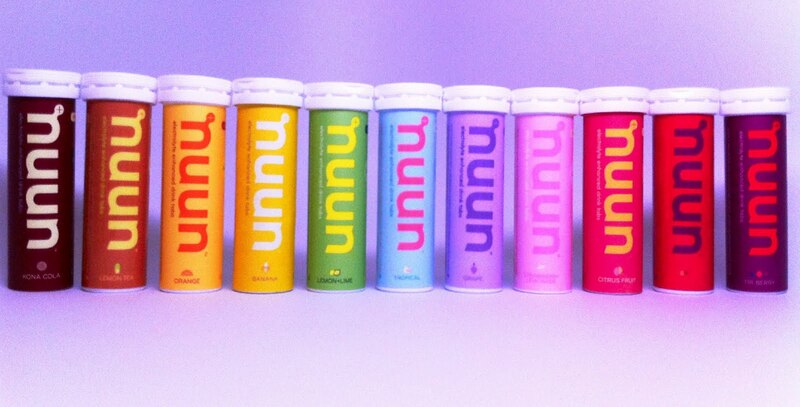 That is so cool you were the tiny spark behind the big blogger NuuN invasion! @SAndi - I think it is "noon"
I don't remember ever hearing this story before! How cool is that!!! Great story! That's so awesome that you started it. I loved reading the relay recaps you posted! Sounds like it was an amazing time. It is true, you never know who you'll sit next to on an airplane.